Webinar is short for Web-based seminar. A webinar is a presentation, lecture, workshop or seminar that is transmitted over the web, instead of in person. As a result each member of the webinar, from the presenter to the attendees, can be at a different location providing they have an internet connection. This means you can present from your desk, your home or just about anywhere while your attendees can watch on their computers, tablets or even smartphones. Location – presenters and attendees no longer have to be in the same room. Providing they have an internet connection they can be anywhere in the world. Providing you record your webinar students are able to watch the content again, make notes and study at their own pace. Interactivity increases – as students can type questions, engagement typically increases as students don’t have to speak or be judged in front of their peers. Attendees can learn in familiar and comfortable setting as they choose where to watch from. Surveys, Polls and Evaluations allow you to get instant feedback from your attendees to help confirm learning. 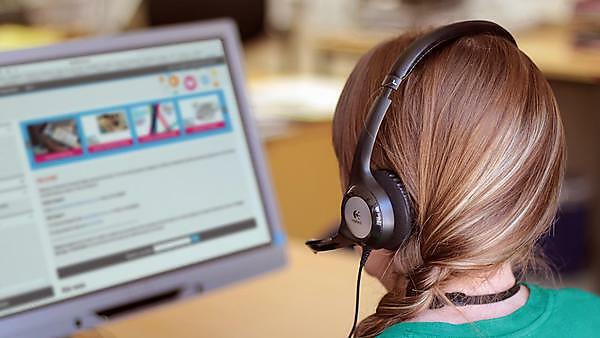 Download our 'Delivering teaching online with Webinar' guide. Great for small, collaborative meetings and tutorials of up to 25 people. Great for simulating real world lectures of up to 500 people. Covering anything from small meetings to seminars and lectures up to 250 people. Professor Ray Jones uses webinars to run interactive online workshops that facilitate group work. This is achieved by Ray delivering material via webinar, before setting a task that students work on in breakout chat rooms. Students then come back to the webinar to present their findings.